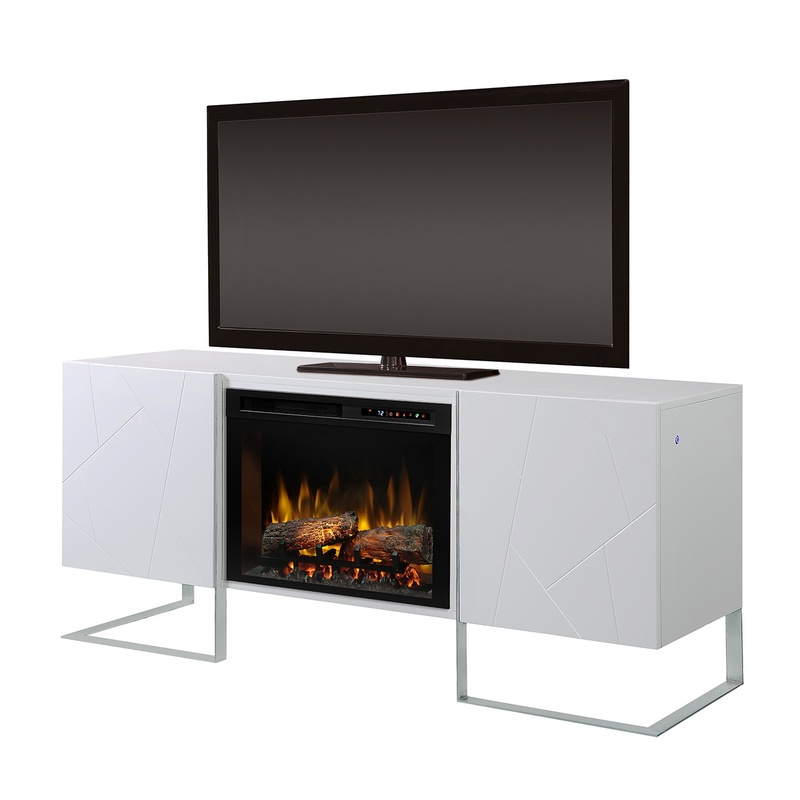 When you want to impress your guests with a modern, streamlined television stand, look no further than the Chase Electric Fireplace Media Console. With twin side cabinets, all electronics and belongings are kept out of sight, behind the solid doors with subtle geometric details. The entire unit sits atop a stylish metal framing that creates a stunning, elevated stance that lifts up to 70” televisions to the perfect viewing height. Simplistic without sacrificing style, the Chase comes fully assembled and complements modern and contemporary décor.